Not interested in Dayton ? Please choose a different community. The 7th Annual ¡Fiesta Internacional! features authentic Hispanic food & drinks, including wine, specialty beers, and our trademark margaritas. Live music, a dance floor, and the biggest and best silent auction yet make this an event you don't want to miss! Proceeds benefit the Dayton International School, a 501(c)3 non-profit organization located in Dayton, Ohio. 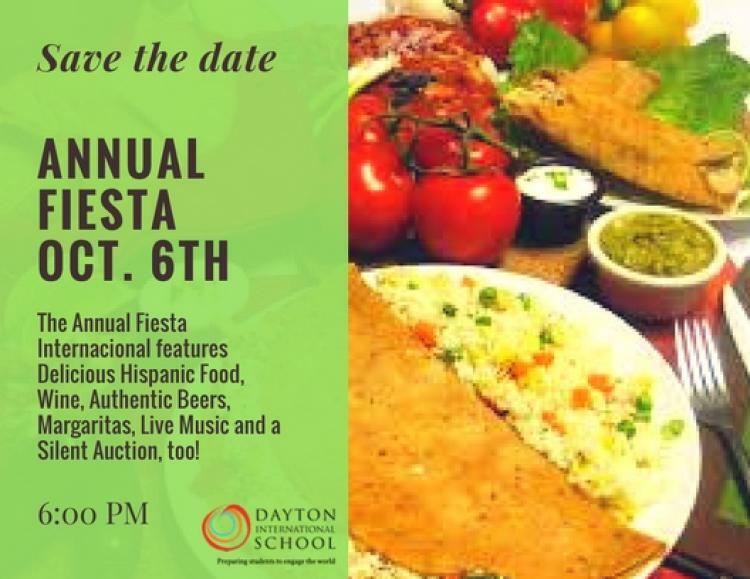 Dayton International School (DIS) is a 501(c)(3) non-profit school created to meet the needs of bilingual education in the Dayton area, utilizing an immersion concept. Currently serving ages 3 to 6 in our Spanish immersion mornings and 2 years olds to adults' ages in our special Spanish programs.